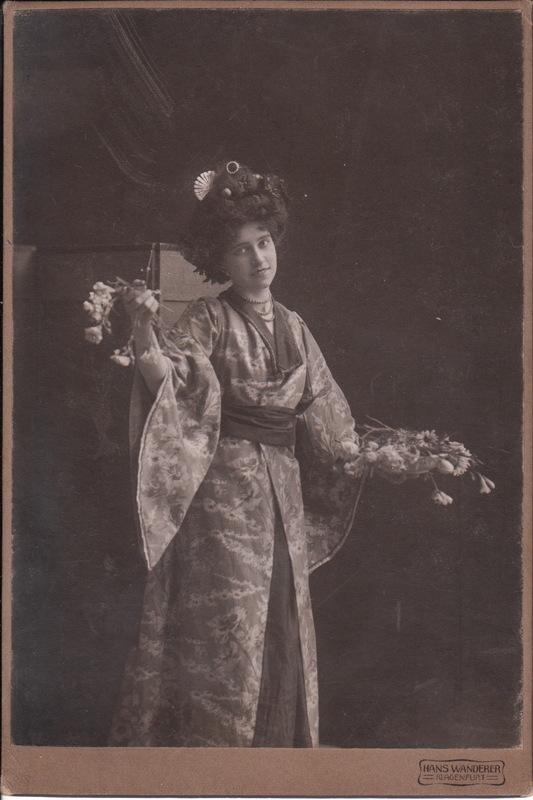 This image features an attractive actress playing Madame Butterfly in a 1909 production. The preceding information comes from an inscription on the reverse of the photograph. The photographer is Hans Wanderer and his studio was located in Klagenfurt, Austria. Madam Butterfly is an opera by Giacomo Puccini. The story was originally written by James Long (1898). David Belasco dramatized the story for theater. The operatic version of Madame Butterfly premiered in Milan, Italy in 1904. 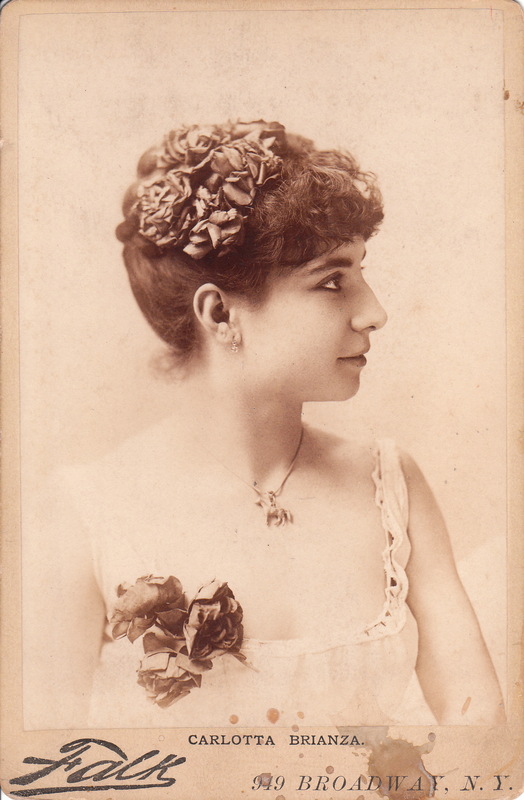 This cabinet card portrait features pretty celebrated Italian ballerina, Carlotta Brianza (1867-c.1933). Note that the jewelry that is hanging from her necklace is shaped like a horse. It is also worth mention that this photograph is somewhat risque for the era. Brianza was born in Milan, Italy and was the prima ballerina at La Scala before going to Russia. She created a sensation in Luigi Manzotti’s ballet “Excelsior” as the Spirit of Light. She went to Russia in 1887 after completing a US tour. She was acclaimed for her work in “Sleeping Beauty” and “Esmerelda”. She returned to the west in 1891 when she became the prima ballerina for the Vienna Opera. She died in Paris under suspicious circumstances that suggest she committed suicide. This portrait was produced by celebrity photographer Benjamin J. Falk of New York City. To view other photographs by Falk, click on the category “Photographer: Falk”.